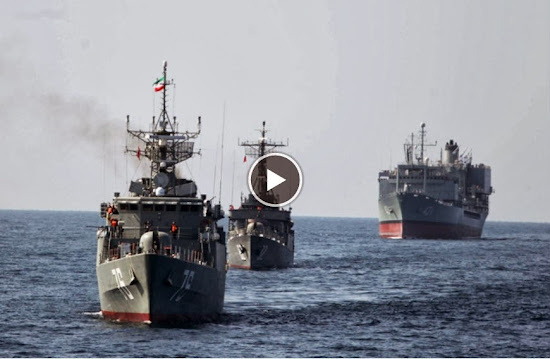 A report by Iran’s semi-official Fars news agency Saturday said Iranian warships have been ordered to sail to U.S. maritime borders in response to the presence of American vessels in the Gulf. However, a U.S. defense official seemed unconcerned by the claim. "We've seen the public pronouncement and we're aware of the press reports," the official said, adding that "they've made these claims before but never executed them." "The Iranian Army's naval fleets have already started their voyage towards the Atlantic Ocean via the waters near South Africa, Admiral Afshin Rezayee Haddad , Commander of Iran's Northern Navy Fleet announced, according to the report. No specific vessels were mentioned in the report, which could not be confirmed independently. The United States and its allies regularly stage naval exercises in the Gulf, saying they want to ensure freedom of navigation in the waterway through which 40 percent of the world's seaborne oil exports passes. Even if Iranian vessels made the trans-Atlantic voyage, they would lack the logistical support to pose a serious threat. In the past 35 years, Iran has sent a single destroyer with a supply ship beyond its coastal waters only twice. Once in 2012, again in 2013 through the Suez canal and into the Mediterranean for a short deployment.